In the US – like presumably everywhere else – there are things people do for good luck. Looking at the most common ones I realized that they are very similar or identical to the things people do in Germany for good luck. So, I guess, either they work 🙂 or somebody did a very good job at promoting these somewhat random acts. Wiki lists a whole number of countries where the phrase is used in one version or another. The possible origin is the ancient belief across many cultures that spirits dwell in trees or guard them and so knocking on wood might get the good spirits on ones side. This one is interesting, though, as the same gesture, done behind one’s back, is used to nullify a promise. This is fairly popular with kids and teens and a less accepted loop-holes in grown-up world. The origin seems to date back to the days when crossed fingers were used to ward of witches. In Germany people don’t cross fingers, they squeeze their thumbs – which ends up looking pretty similar. 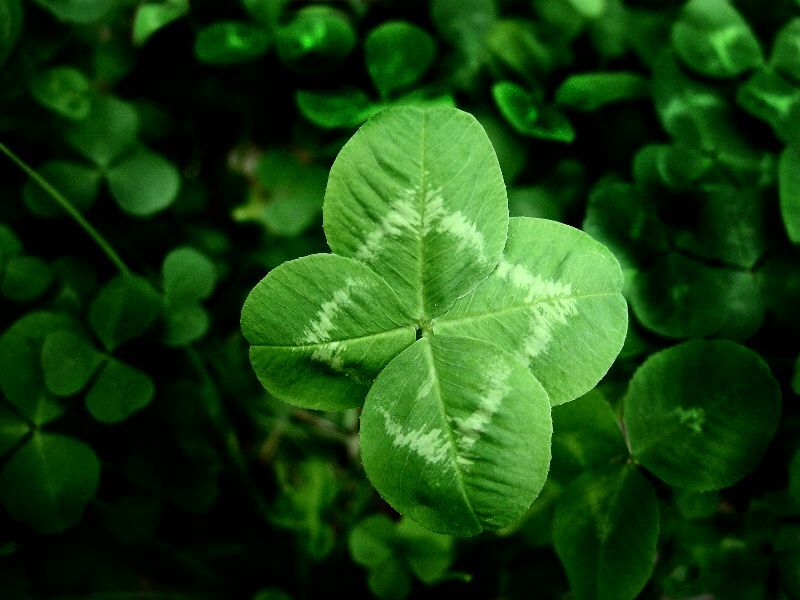 That leaves us with a symbol of good luck: the four-leaved clover. Four-leaved clovers are very rare and bring good luck, especially when found accidentally. The story goes that each leaf stands for something: the first for hope, the second for faith, the third for love and the fourth, rare one, for luck.